Courtesy of Blue Indie Realty Inc. Please, send me more information on this property: MLS# 26683089 – $310,000 – 10230 Moorberry Lane, Houston, TX 77043. Stunning completely remodeled home. Everything is new, from the outside in. Just waiting to be a home again, with plenty of Open entertaining space for open concept lovers. If you were wanting the low maintenance of a NEW home without the look of the new homes, you have to check this one out. You may have found your gem. New wood styled Garage doors, Driveway, Windows, Redesigned exterior Fascade, New roof and thats not even all for the exterior. Interior newly designed with new soft close cabinets, lighting, flooring, reconfigured bathrooms and kitchen. Not to mention some of the major behind the scenes things like: Electrical, Plumbing, Air conditioning system (inside and out). This is a must see. Come check it out today. This home is in the highly desirable Shadow Oaks neighborhood, minutes from 1-10 and close to the Galleria, Energy Corridor and Memorial. This updated home with fresh paint, laminate wood floors, granite countertops and more is located on a corner lot, featuring a side yard with mature trees. Additionally, this home has an extra flex/bonus room that can be turned into a gym or playroom. This home is a must see! Home w custom cabinets, some w glass fronts. Granite kitchen counters, comfortable, chair height breakfast bar, Built-ins in dining area & family room. Slate floor in main living areas. Formal living off entry could also be dining, study, game room or whatever you choose. W/D & Fridge are included. Carpet recently replaced. Screened porch on rear w vaulted ceiling & skylites. M Bath has tub/shower! Never Flooded! Stratford HS! Beautiful Home in the heart of Spring Branch, single story house with 4 bedrooms 3 full bathrooms & study room. Home has granite countertops in kitchen with an island & bathrooms. Showers completely remodeled with ceramic tiles. Tile & Wood floors throughout the house. House has a additional huge family room with a pool table & wet bar included with the sale of the house. Beautiful patio in the backyard with stone floors & European lights & with a decorative well & many more beautiful things. House never flooded. You will fall in love with this property! What a fabulous one story so close to Beltway-I-10, City Centre, Memorial City, restaurants, shopping and schools. This home is move in ready. Enjoy evening in the private front courtyard. Enjoy sitting on the covered back porch if you choose. Updated, freshly painted, recent carpet in bedrooms, sellers have installed upgraded laminate in all other areas. tile in wet areas. Stainless appliances, granite counters, updated secondary bath and master with large shower. Split floor plan, sunken living room with fireplace. Don’t miss this beautiful home located on a quiet cul de sac in wonderful area. It will go quickly. 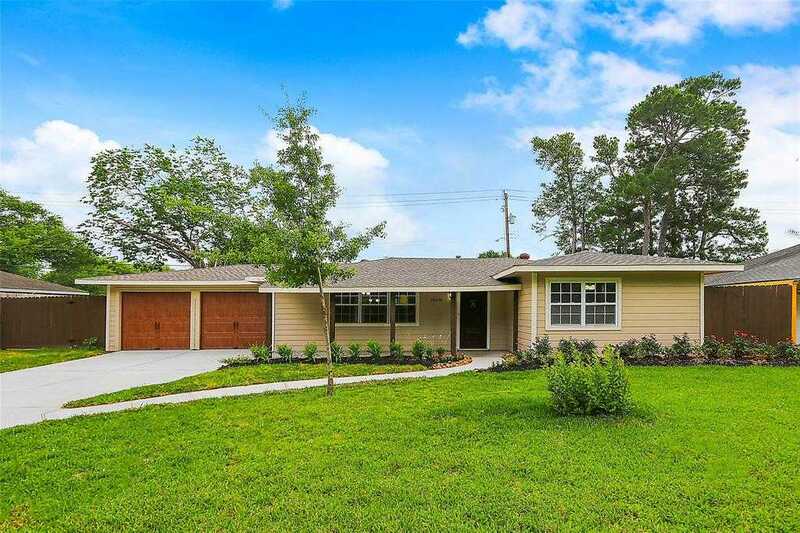 This gorgeous recently updated home in Shadow oaks is move in ready! Located on a very quiet and secluded corner and walking distance to Nob Hill Park. Incredible access to major highways such as i10/beltway 8 and restaurants/shopping of city centre nearby! The home features a beautifully updated Kitchen w/ new appliances and granite counters. Along with upgraded bathrooms and bedrooms theres also a stunning enclosed patio thats perfect for relaxing in the evening or having more space for entraining. The upgraded tile floors that look just like wood are stunning and easy to maintain. Plenty of space in the backyard and 2 covered patios complete this home perfectly. At one of the best prices in the neighborhood this will certainly not last so schedule your showing immediately to see it in person! Beautiful 3 bedroom and 2 bath home located in the desirable Shadow Oaks. Located in the heart of Houston just minutes away from I-10, Beltway 8, City Center, and Memorial City Mall. Home has many updates including newly renovated master bathroom, new double paned windows, and new flooring in all three bedrooms. Crown molding and recessed lighting throughout the home. Walking distance from Nob Hill Park & walking trail. No HOA and did not flood during Harvey.